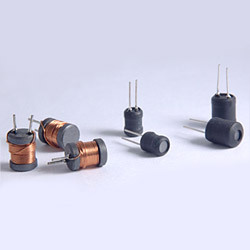 (3) Low cost with rugged reliability and performance fixed inductor. 1. Size: 0608 0810 0912 1010 1012. 2. Core: ferrite DR core. 3. Wire: enamelled copper wire. 4. Lead: Sn / Ag / Cu. 5. Tube: shrinkable tube 125°C, 600V. 6. Remark: lead content 200ppm max. include ferrite. 7. General specification: (1) Temp. rise: 20°C max. at rated current. (2) Storage temp. : -25°C -- +85°C. (3) Operating temp. : -20°C--+80°C.